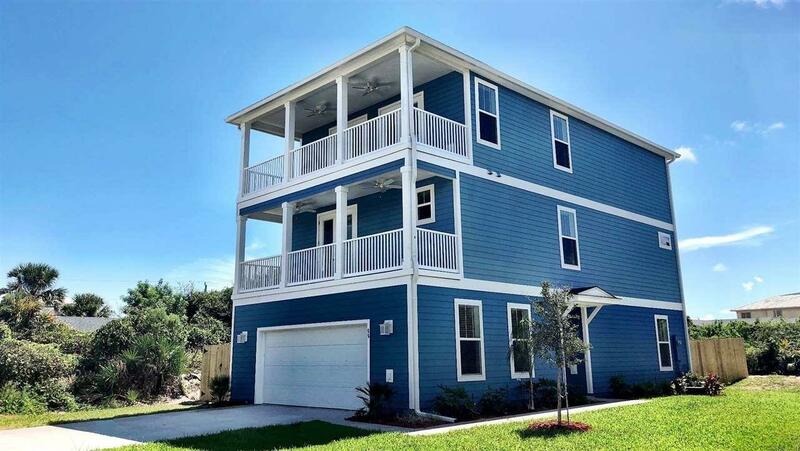 Stunning ocean views from this newly constructed home on St Augustine Beach. This exceptional three story home is just a short walk to the beach and offers five bedrooms, four and a half baths, 3,301 sqft of luxury with 1169 sqft of covered lanai and designer touches throughout. 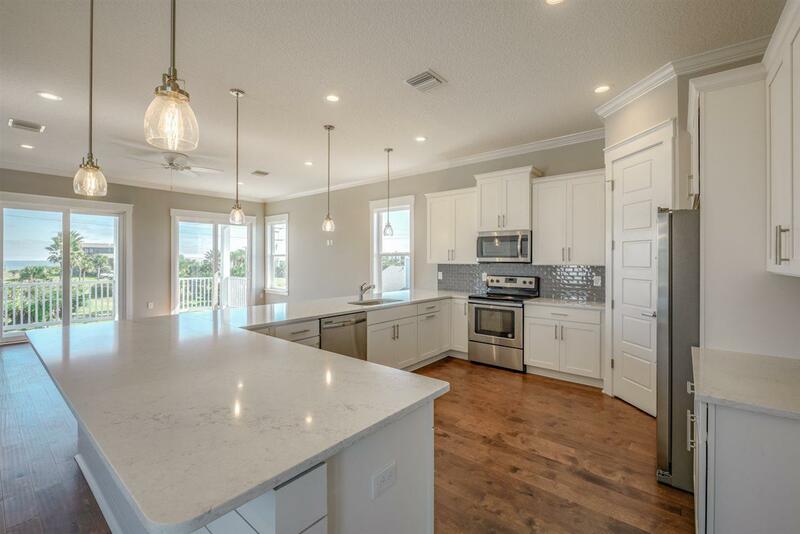 The well-appointed kitchen boasts quartz countertops, upgraded cabinets, tiled backsplash, full stainless appliance package, double oven, microwave drawer, pantry, and a raised snack bar overlooking a sunlit family area. 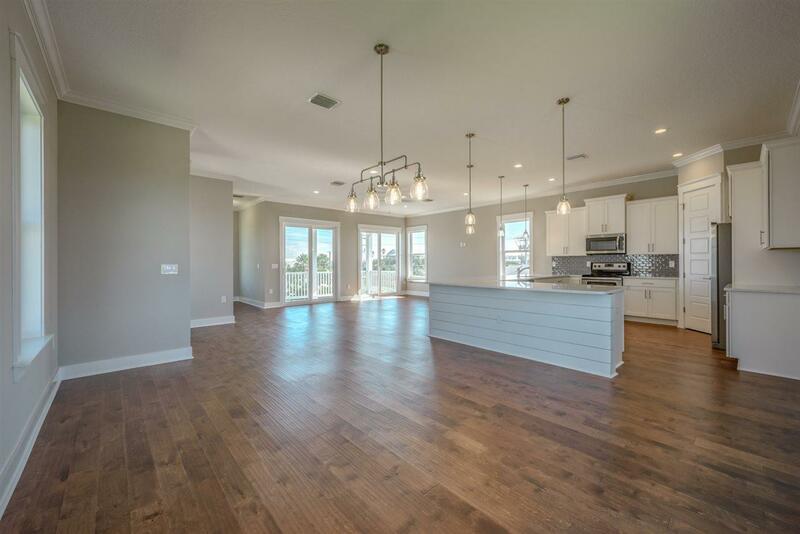 The expansive great room offers volume ceilings and direct access to the spacious, covered lanai. Retire for the day to the alluring ownerÃ¢â‚¬â„¢s suite with large windows overlooking the ocean, private deck, large walk-in closet, and a luxurious ownerÃ¢â‚¬â„¢s bath with dual quartz vanity, private water closet, and a fully tiled walk-in shower. 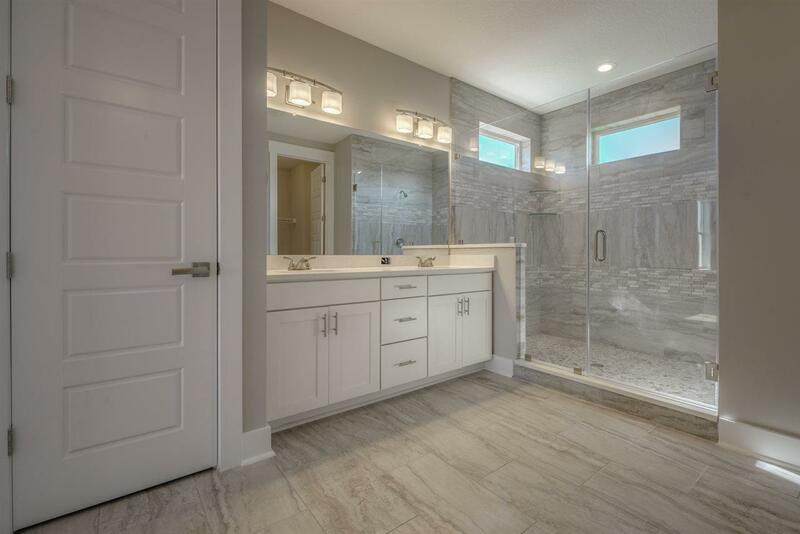 This remarkable home is further enhanced by four additional bedrooms, 3 full baths, powder room, separate laundry room, extra parking space, and an over-sized two car garage. Additional interior upgrades include upgraded lighting, recessed lighting, neutral paint, wood plank tile floors, striking wood floors, and two spacious covered decks with stunning ocean views. Additional exterior upgrades include professional landscaping with irrigation, termite bond, and a 2-10 Home Buyers Warranty. St. Augustine Beach is an established beachside community conveniently located close to shopping, white sand beaches, and the greater St. Augustine areaÃ¢â‚¬â„¢s unique and highly regarded restaurants and shops.